Hello you lovely lot! 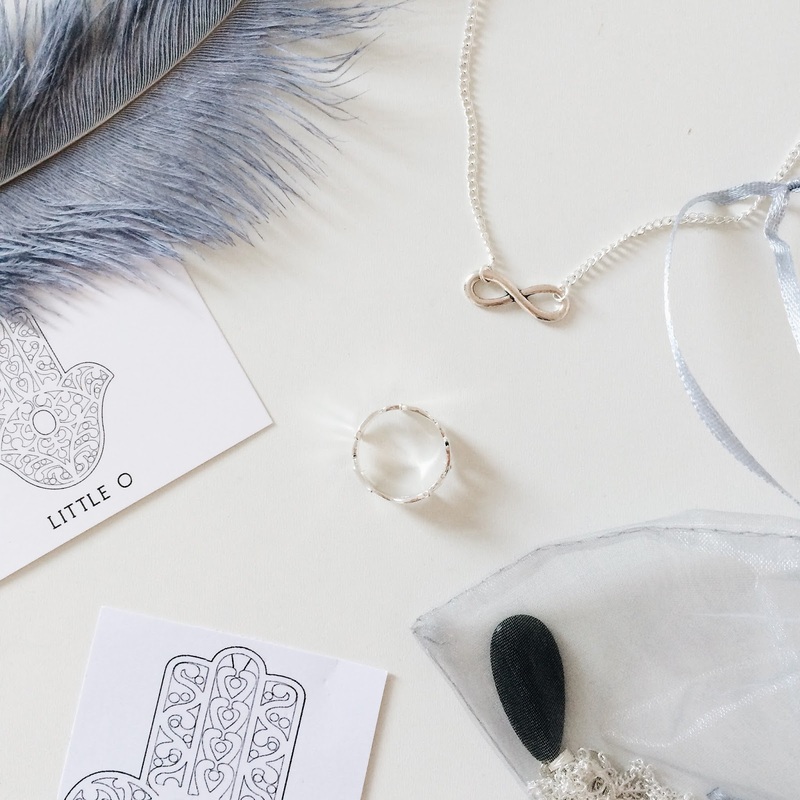 Today I'm bringing you a post all about the lovely brand Little O. I love myself a some dainty jewellery and Little O have managed to supply my need for some pretty new pieces, so here we go! 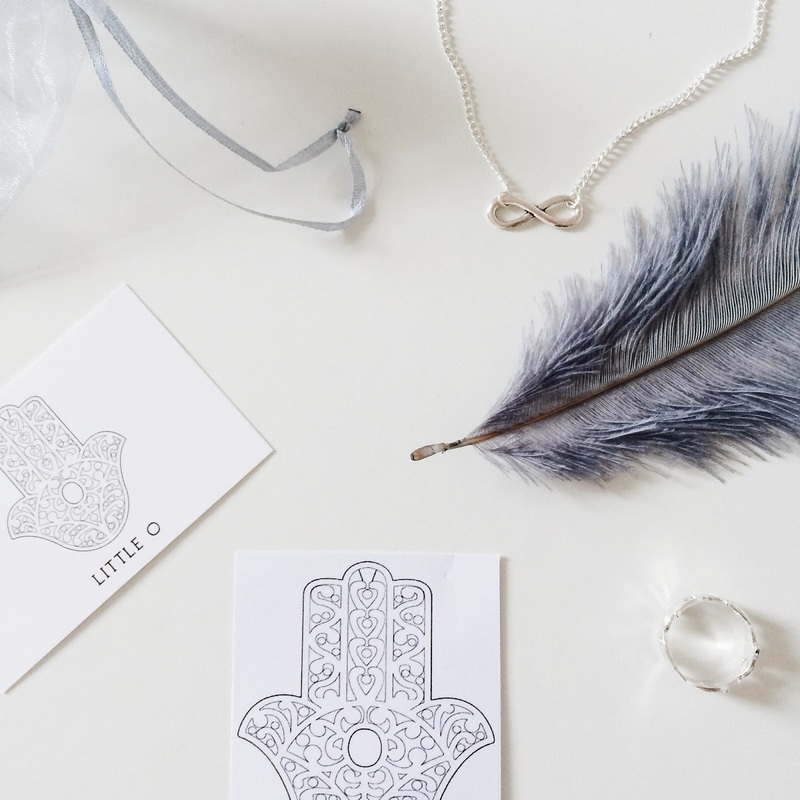 They kindly sent me three gorgeous accessories, starting with their Silver Hasma Band Ring. This piece is just lovely and I adore hasma hands and what they represent. Anything that symbolises peace and blocking out the bad is my kind of thing. It's so cool that the ring is made up of hasma hands all the way round and I just think it's a kind of piece I've not really seen before. I'll definitely be wearing this beauty to keep the good vibes flowin'. Then I have the Infinity Chain Chocker, which I love too! I love the chocker trend but as a lover of dainty jewellery, it's hard to find a piece to suit my style. This piece however, is just perfect and is simply beautiful. It's so plain and simple, yet so so pretty and unique! Finally, I received the Coven Trio Necklace which is a kind of piece I'd never owned before. I've always wanted to try a layered necklace but never bitten the bullet, so when I spotted this beauty, I had to have it. I love the different pendants and the black stone especially suits my look. The layered style really adds a little something extra to an outfit which is nice, since my outfits are very minimalist. It's deff something I'm going to be accessorizing with from now on..
And there you go! If you want to check out Little O then head to their website by clicking here and don't forget to hit them up on instagram too and have a look at their lovely pieces! These are such lovely pieces! 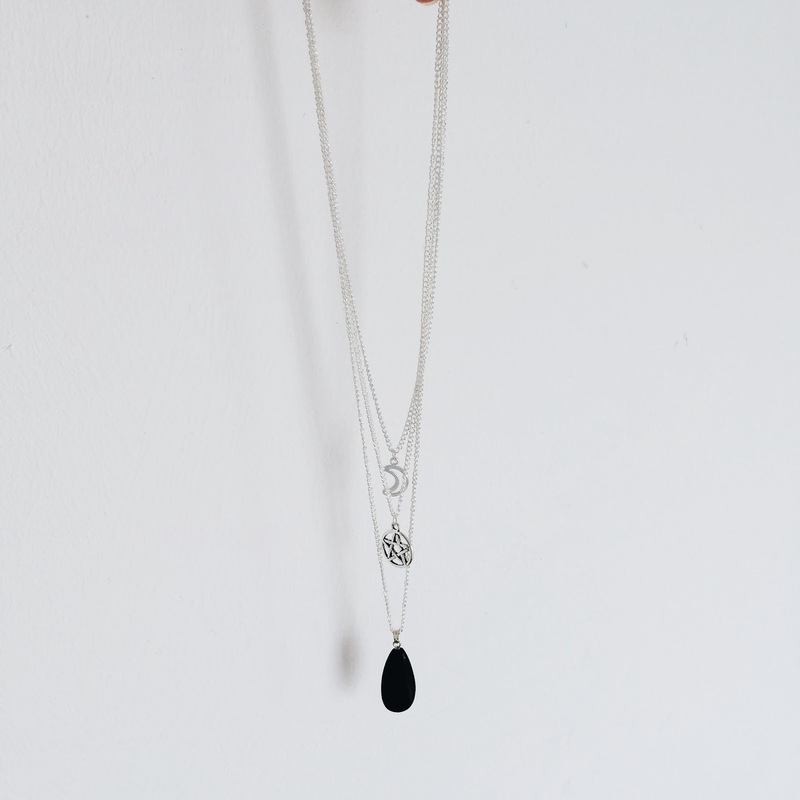 I love dainty jewellery lIke this as it goes with so many outfits! Such cute pieces! Love it!